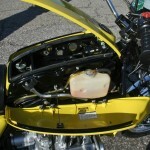 The concept and all the contents of this Web site are Copyright © 2010 BikesRestored.com. All rights reserved. The name and logo of BikesRestored.com are trademarks and any unauthorised use is an infringement of such trademarks. 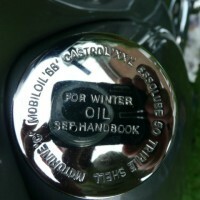 By using the BikesRestored.com website, you agree to be bound by the terms of this Agreement and any modifications made to it in accordance with Section 18 below. The BikesRestored.com Service is an online application, enabling businesses and individuals to build, join and participate in customized and personalized discussion groups. You understand and agree that the Service is provided “AS-IS” and that BikesRestored.com assumes no responsibility for, among other things, (1) any service outages or interruptions (2) the unavailability of particular features or services, (3) the inability to access the Service, (4) the failure or inability to post materials to the Service, (4) the deletion of materials posted to the Service or (5) the failure to store materials posted to the service. You are not currently required to register to use the BikesRestored.com Service. 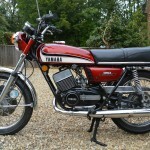 The BikesRestored.com Service contains a huge variety of information, data, messages, directions, computer programs, pictures, audio/visual works and other materials (the “Content”) that users post. 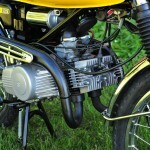 Please use caution and common sense when viewing BikesRestored.com. You understand and agree that any Content posted on the Service is the exclusive responsibility of the person who posted or uploaded it, and that you will be solely responsible for any Content that you upload, post, email or otherwise transmit via the Service. You acknowledge that BikesRestored.com is not responsible for, does not control, does not endorse and does not verify the Content posted to the Service or available through the service, and that it makes no guarantee regarding the reliability, accuracy, legitimacy or quality of any such Content. You agree that you will bear any and all risk of reliance on the accuracy, validity or legitimacy of such Content. Under no circumstances will BikesRestored.com be liable in any way to you for any Content, including, but not limited to, any errors or omissions in any Content or any loss or damage of any kind incurred as a result of the use of any Content posted or otherwise transmitted via the Service. 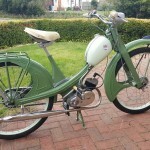 You acknowledge that BikesRestored.com does not pre-screen Content, but agree that BikesRestored.com shall have the right (but not the obligation) to access any Content, and remove or restrict access to any Content on the Service in its sole discretion and without notice or compensation. Without limiting the foregoing, BikesRestored.com shall have the right to access any Content and remove or restrict access to any Content that violates this Agreement or that BikesRestored.com believes is otherwise objectionable. You acknowledge and agree that BikesRestored.com may preserve or disclose any Content if it reasonably believes disclosure is required by law or in the good faith belief that such preservation or disclosure is reasonably necessary to: (a) comply with legal process; (b) enforce this Agreement; (c) respond to claims that any Content violates the rights of third-parties; or (d) protect the rights, property, or personal safety of BikesRestored.com, its users and the public. You grant BikesRestored.com the world-wide, royalty free and non-exclusive license to reproduce, modify, adapt, distribute and publish any Content you post/upload/contribute to the Service, for the purposes of displaying such information on BikesRestored.com’s sites and for the promotion and marketing of BikesRestored.com’s services. 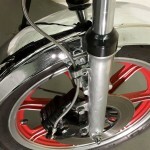 If you do use the Service to commit any of the above, BikesRestored.com may, at its sole discretion. terminate your ability to use the Service, and remove and discard any Content within the Service. You are solely responsible for your interactions with other users of the Service. BikesRestored.com reserves the right, but has no obligation, to monitor disputes between you and other users of the Service. 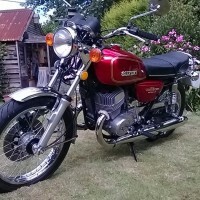 You agree that BikesRestored.com may establish, in its sole discretion, any limitations, conditions or rules concerning use of the Service, including, for example, the maximum number of messages a user may post to the Service in a given day, the number of days that posted messages will be available, or the maximum size of a given post. You acknowledge that BikesRestored.com has the right to change these general practices and limits at any time, in its sole discretion, with or without notice. BikesRestored.com reserves the right at any time and from time to time to modify or discontinue, temporarily or permanently, the Service (or any part of it) with or without notice. 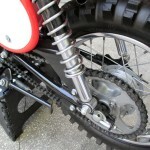 You agree that BikesRestored.com shall not be liable to you or to any third party for any modification, suspension or discontinuance of the Service. You agree that BikesRestored.com, in its sole discretion, may terminate your ability to use the Service, and remove and discard any Content within the Service, for any reason or for no reason, including, without limitation, for lack of use, or for violating the letter or the spirit of this Agreement. You agree that any termination of your access to the Service may be immediate and without prior notice. You further agree that BikesRestored.com shall not be liable to you or any third-party for any termination of your use or ability to access the Service. Third parties using the Service may provide links or access to other web sites and resources. Because BikesRestored.com has no control over such sites and resources, you acknowledge and agree that BikesRestored.com is not responsible for the availability of such sites or resources, and does not endorse and is not responsible or liable for any content, advertising, products, or other materials on or available from such sites or resources. You further acknowledge and agree that BikesRestored.com shall not be responsible or liable, directly or indirectly, for any damage or loss caused or alleged to be caused by or in connection with use of or reliance on any such Content, goods or services available on or through any such site or resource. (a) YOUR USE OF THE SERVICE IS AT YOUR SOLE RISK. THE SERVICE IS PROVIDED ON AN “AS IS” AND “AS AVAILABLE” BASIS. BikesRestored.com EXPRESSLY DISCLAIMS ALL WARRANTIES OF ANY KIND, WHETHER EXPRESS OR IMPLIED, INCLUDING, BUT NOT LIMITED TO THE IMPLIED WARRANTIES OF MERCHANTABILITY, FITNESS FOR A PARTICULAR PURPOSE AND NON-INFRINGEMENT. (b) BikesRestored.com MAKES NO WARRANTY THAT (i) THE SERVICE WILL MEET YOUR REQUIREMENTS, (ii) THE SERVICE WILL BE UNINTERRUPTED, TIMELY, SECURE, OR ERROR-FREE, (iii) THE INFORMATION THAT MAY BE OBTAINED FROM THE USE OF THE SERVICE WILL BE ACCURATE OR RELIABLE. 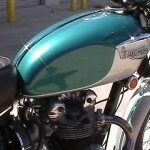 (d) NO ADVICE OR INFORMATION, WHETHER ORAL OR WRITTEN, OBTAINED BY YOU THROUGH OR FROM THE SERVICE SHALL CREATE ANY WARRANTY BY BikesRestored.com. YOU EXPRESSLY UNDERSTAND AND AGREE THAT BikesRestored.com SHALL NOT BE LIABLE FOR ANY DIRECT, INDIRECT, INCIDENTAL, SPECIAL, CONSEQUENTIAL OR EXEMPLARY DAMAGES, INCLUDING BUT NOT LIMITED TO, DAMAGES FOR LOSS OF PROFITS, GOODWILL, USE, DATA OR OTHER INTANGIBLE LOSSES (EVEN IF BikesRestored.com HAS BEEN ADVISED OF THE POSSIBILITY OF SUCH DAMAGES), RESULTING FROM: (i) THE USE OR THE INABILITY TO USE THE SERVICE; (ii) THE COST OF PROCUREMENT OF SUBSTITUTE GOODS AND SERVICES RESULTING FROM ANY GOODS, DATA, INFORMATION OR SERVICES PURCHASED OR OBTAINED OR MESSAGES RECEIVED OR TRANSACTIONS ENTERED INTO THROUGH OR FROM THE SERVICE; (iii) UNAUTHORIZED ACCESS TO OR ALTERATION OF YOUR TRANSMISSIONS OR DATA; (iv) STATEMENTS OR CONDUCT OF ANY THIRD PARTY ON THE SERVICE; OR (v) ANY OTHER MATTER RELATING TO THE SERVICE. You agree to indemnify and hold BikesRestored.com, and its subsidiaries, affiliates, officers, agents, employees, and contractors harmless from any claim or demand, including reasonable attorneys’ fees, made by any third party due to or arising out of Content you submit, post to or transmit through the Service, your use of the Service, your connection to the Service, your violation of the law, this Agreement or the rights of another. Notices to you may be made via either email or regular mail. BikesRestored.com may also provide notices of changes to this Agreement or the Service by displaying notices or links to notices to you generally on the Service. 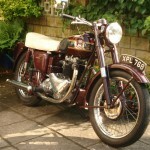 This Agreement and your relationship with BikesRestored.com shall be governed by the laws of England without regard to its conflict of law provisions. You and BikesRestored.com agree to submit to the personal and exclusive jurisdiction of the courts located within England and agree that regardless of any statute or law to the contrary, any claim or cause of action arising out of or related to use of the Service or the Agreement must be filed within one (1) year after such claim or cause of action arose or be forever barred. This Agreement constitutes the entire agreement between you and BikesRestored.com with respect to the Service and supersedes all prior agreements and understandings between you and BikesRestored.com. BikesRestored.com’s failure to enforce any provision of this agreement will not be construed as a waiver of any provision or right. In the event that a portion of this agreement is held unenforceable, the unenforceable portion will be construed in accordance with applicable law as nearly as possible to reflect the original intentions of the parties, and the remainder of the provisions will remain in full force and effect. Paragraphs 13, 12, 12, 14 and 15 of this Agreement shall survive any termination of the Agreement. This AGREEMENT AND THE BikesRestored.com site is developed in English and MAY BE translated into other languages. TO THE EXTENT A TRANSLATION OF THE AGREEMENT OR THE SITE IS PROVIDED, IT IS AFFORDED AS a convenience only. For all purposes, only the English VERSION OF THIS AGREEMENT, AND THE ENGLISH VERSIONS OF THE BikesRestored.com SITE SHALL BE OFFICIAL AND BINDING ON THE PARTIES. BikesRestored.com is not responsible for the accuracy and correctness of the translation. You are solely responsible to carefully read AND UNDERSTAND the English text and YOU AGREE THAT YOU MAY NOT RELY on translations provided AS OFFICIAL DOCUMENTS OR REPRESENTATIONS.